Mitchell Allred is attending New Mexico State as a sophomore, majoring in Criminal Justice to become a General Practice Lawyer. He plans to graduate with his bachelor's then attend law school at Texas Tech University. Mitchell was born in Salt Lake City, Utah, but grew up in Las Cruces, New Mexico. 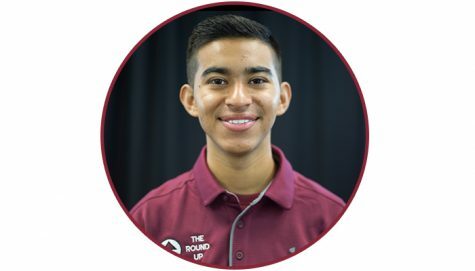 He graduated in 2017 from Oñate High School, was enrolled in yearbook his junior and senior year, and took photography classes through dual credit. He has been doing photography for eight years, and plans to continue as a side job. Mitchell has had the opportunity of shooting a clothing brand, doing headshots of actors and models, and dozens of senior pictures. With enrolling in classes and being partially self taught, he understands that there is always room for improvement, and not everyone is going to like his work, as everyone has an eye for something different. Mitchell is looking forward to a great hardworking year with The Round Up, and is excited to create great stuff.